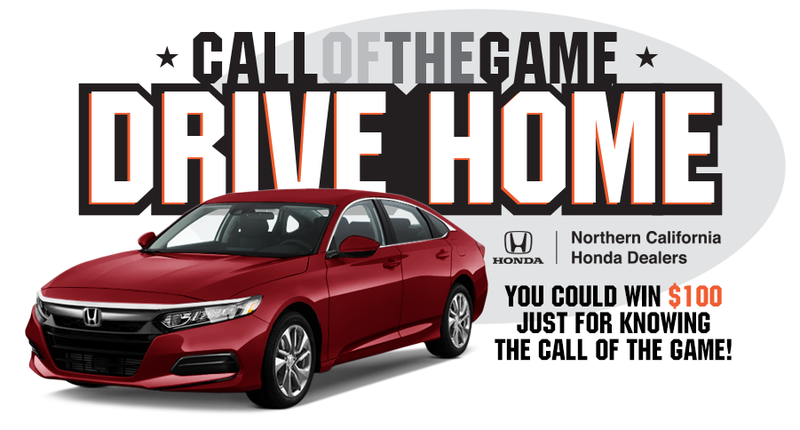 Hey baseball fans: Here’s your chance to get paid just for listening to your favorite team, thanks to Your Northern California Honda Dealers! Listen for the Call of the Game during each baseball broadcast – and then tune in to the next Murph & Mac show (or Marty Lurie on the weekends). If you can phone in (when prompted) to 808-KNBR and tell them what the call was, you’ll score $100! It couldn’t be easier to cash in on doing something you love.